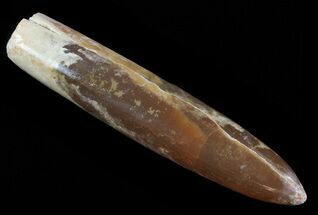 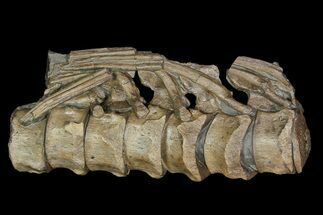 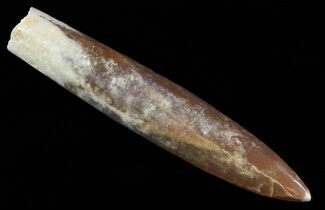 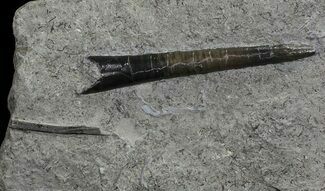 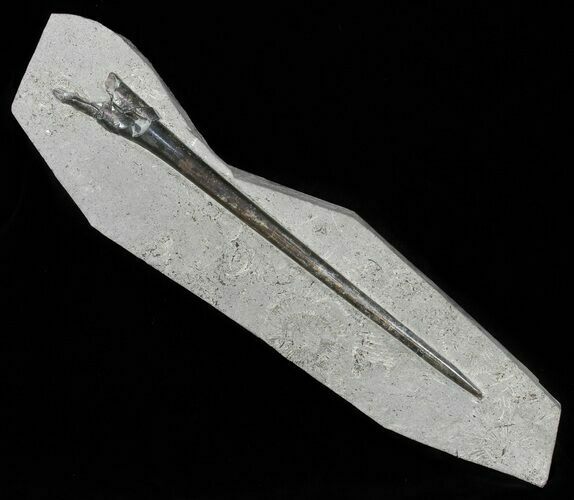 is a fossil belemnite (Youngibelus gigas) from the Posidonia Shale in Germany. 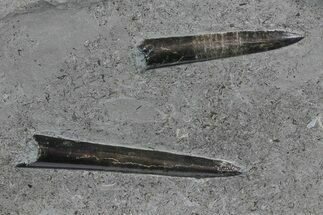 It's been left partially embedded in the rock it was found in and the surface has been polished. 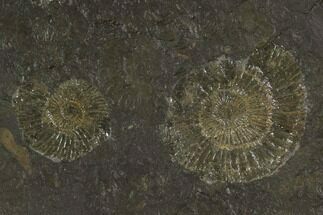 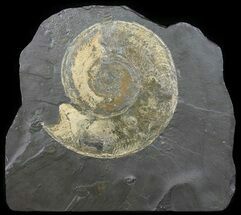 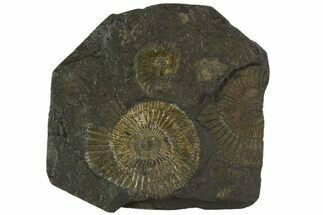 Some partial ammonite impressions can also be seen in the rock.